Classic combination - Classic Pizza's Pizza Delivery and Specials - Order Pizza Online for FREE Delivery or Pickup. Try one of our best classic conbination pizzas today and fill the great flavor of Pepperoni, Sausage, Mushrooms, Onions, Bell Peppers, Olives, Fresh Oregano and Tomato Sauce We make each pizza by hand and our hope is to fulfill all of your pizza cravings. Place Your Online Today! Dough is Made Fresh Daily with extra Virgin Olive Oil. Our Classic Combination is made with whole milk and mozzarella cheese. 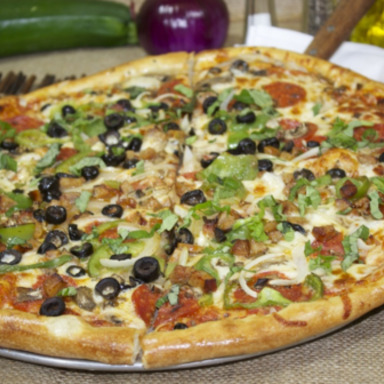 Lunch pizzas Are 9½ And Are Served With Choice of Soup or Green Salad And Soft Drink. Dressing Choices for Green Salads Are House Dressing (Balsamic Vinaigrette), Blue Cheese, Ranch or Thousand Island.